And the raffle winner is…. 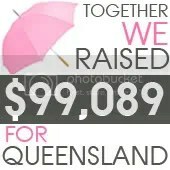 Congratulations and thanks to everyone for donating to such a good cause. Congratulations also goes out to Toni who organised this, so much money was raised!!! Oh wow thanks so much!!! Thanks so much Anita, it arrived on Monday! I love it! Blogged about it today!